Tyler Electric is located in Bozeman, Montana. Relocation assistance is available for the right candidate. Work on high-end residential, commercial and federal electrical projects. A starting wage dependent on your experience with health insurance, life insurance, pension plan and paid vacation. Company work truck and cell phone allowance included. 30 day evaluation/review with great potential for advancement. We’re looking for a Montana Licensed Journeyman Electrician to join our team at Tyler Electric. Ready to get your hands dirty working in all aspects of commercial and residential electrical? Then read on! You’re Montana licensed. A Montana Licensed Journeyman Electrician is required to either have or be able to acquire a State of Montana Electrical Journeyman license. Already have Montana state licensure? If so that’s great! If you reside outside of Montana, you should be familiar enough with state licensure regulations that you can obtain your Montana license quickly. You have a clean driving record. Travel to and from work sites is provided in company work trucks and vehicles. You should be comfortable driving in Montana, and a clean driving record is required. You’re reliable and honest. Come heck or high water, we keep the promises that we make, and we are looking for individuals who hold themselves to the same high standards. The little things are important such as showing up to work when it’s a beautiful powder day, but more often it means treating others the way you expect to be treated. Simple? Sure it is. Always easy? Nope. You pride yourself on attention to detail. As a Montana Licensed Journeyman Electrician we don’t (or at least we shouldn’t) need to tell you that the details really do matter. You’re meticulous, thorough and proud of your work. You enjoy seeing customers happy and you strive for the recommendations that are sure to come. You take safety seriously and see it as more than just another rule to follow. You love doing things efficiently and independently. At Tyler Electric, the work that you do will have a disproportionate impact on the business. We believe that trusting in and empowering our employees is the best way to ensure that the work each individual does contributes massively to the whole. At most job locations you’ll be primarily working in small project teams surrounded by other contractors, interior designers and architects who are also integral to the success of that building project. With this in mind, you should enjoy and be able to work on a job site with minimal supervision and be able to report back on the progress and status of the job at regular intervals. Work on commercial and high-end residential new construction projects to complete electrical wiring, electrical systems installation and fixtures installation. Install electrical systems on real estate development projects, performing site lighting and utilities installation. Perform LED lighting retro-fits for commercial and residential projects. Provide service calls to existing residential and commercial clients. Work on commercial and residential remodeling projects. Perform electrical maintenance and programming. Complete administrative work related to your projects including the tracking of materials and completion of billing forms. For the past 12 years, Tyler Electric has been helping homeowners, business owners and general contractors ensure that their electrical projects are completed on time, on budget and to the highest level of quality. While the majority of our work surrounds the Bozeman, Montana community, we do perform work on a wide variety projects throughout the region including Wyoming, Idaho and the Dakotas. There are many values that we hold dear, but chief among them is the golden rule. We serve our clients and our employees in the same manner in which we would want to be treated. When we make a promise, we keep it. Even during recent construction slow-downs we were able to keep each of our employees in full-time positions. Was it easy? Heck no! Was it worth it? You bet it was. We came out of the recession healthier as a company and stronger as a team than we would have otherwise. Small teams are fast and nimble. Small teams mean less bureaucracy and less management and more time accomplishing goals. There’s something about doing a job right that’s just good for the soul. 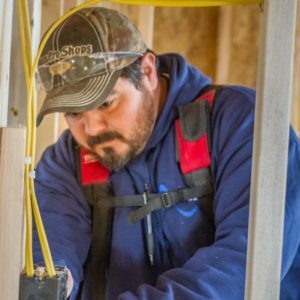 From office staff up through our Montana Licensed Journeyman Electricians to our Master Electrician, each of us believe in working hard and to the best of our abilities. Not just because it’s our job but because we know that the work we do is important and enduring for our customers. Family is an important part of the Tyler Electric culture. That’s because many of us choose to live, work and play in Montana because it’s a great place to raise our children and to be together. Good schools and universities, wide-open spaces, clean rivers and lakes (don’t even get me started on the fly fishing and skiing), abundant wildlife and generally good folks are all a part of what it is to live in Bozeman, Montana. We encourage a healthy balance between the commitment you make to us and the commitment you’ve made to your family. In addition to your compensation package, each Montana Licensed Journeyman Electrician begins accruing vacation time 60 days after beginning work. It’s all a part of our philosophy that you should work to live, not live to work. You must be willing to work from our home-base in Bozeman, Montana. If you’re the right fit for our company, we are happy to help with some relocation costs. Our work is primarily in the Gallatin Valley area that surrounds Bozeman, Montana. On occasion a Montana Licensed Journeyman Electrician may need to travel throughout Montana, Wyoming, Idaho and the Dakotas to preform work. When travel is required employees are paid a per-diem and lodging is provided and paid for by Tyler Electric. We also ensure that employees will travel in company provided vehicles. So far, most out-of-town projects have run between 4 and 8 weeks in duration. A starting wage of dependent on experience. We are looking for top flight electricians to add to our talented staff. As a Journeyman Electrician we realize you have put a lot of time and effort into obtaining your education and honing your skills. As such we are open to discussing your compensation based on the skillset you will bring to our business. Additionally, an evaluation is performed within 30 days of hiring, once we’ve both had the privilege of getting to know one another. Health insurance. We provide a 50% match for health insurance that includes both dental and vision. Life insurance is paid 100% by Tyler Electric. Paid time off begins accruing 60 days after being on the job. 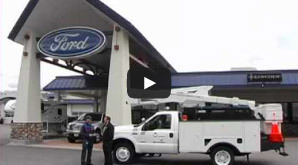 A company work truck is provided for on the job travel. Cell phones are integral to allowing employees to communicate effectively. A cell phone allowance or cell phone and plan is provided. Athletic Club Membership is available to all employees. We believe strongly in health and fitness so hopefully we will see you at the Y after work! We encourage you to get in touch with us by filling out the brief application below, and letting us know any questions that you may have! Do you have any questions you're looking to have answered now? Anything else you'd like us to know? Please upload a resume, work credentials and any other materials that you think will help us get to know you better.